Giving the perfect gift can be tough. Our advice: think less about what you’re going to buy someone and more about who you’re buying for this holiday season. This is why we’ve come up with a list of people you probably have in your life and the gifts we think they’ll love! Entertainers are great people to know. They love visiting with others, showing off their home, and, well, entertaining. Nothing helps a get-together like having plenty of drinks on hand for the host and guests to enjoy. 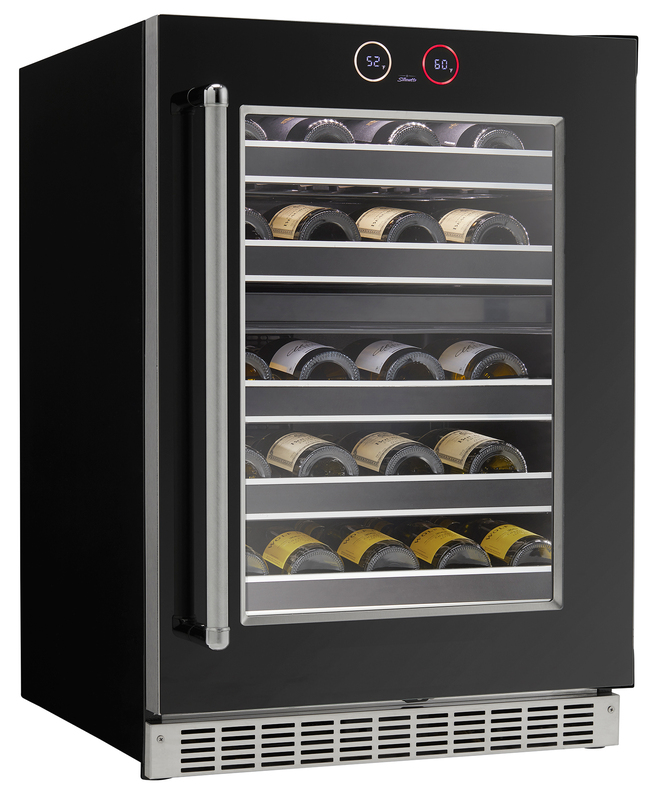 Dual Temperature Zones: Individually adjustable refrigeration zones keep wine AND beer at their perfect temperature. Beverage Capacity: Holds up to 21 750mL (26oz) bottles and 61 355mL (12oz) cans at one time. Low E-Glass Doors: The glass on the doors reflect interior temperatures back inside, keeping your drinks properly chilled and protected. Are the entertainers in your life beer fans? Get them the gift that will save them money, reduce waste, and always attract a crowd. Dual Taps: Keep two of your favourite brews on hand at all times with two independent taps. 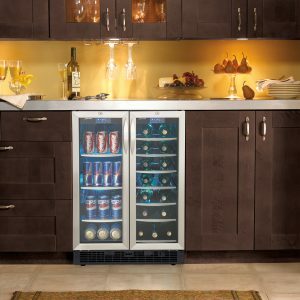 Adjustable Temperature: Keep any beer at its perfect temperature with an adjustable mechanical thermostat. Reversible Door: The reversible door hinge allows you to adjust to left or right-handed opening. 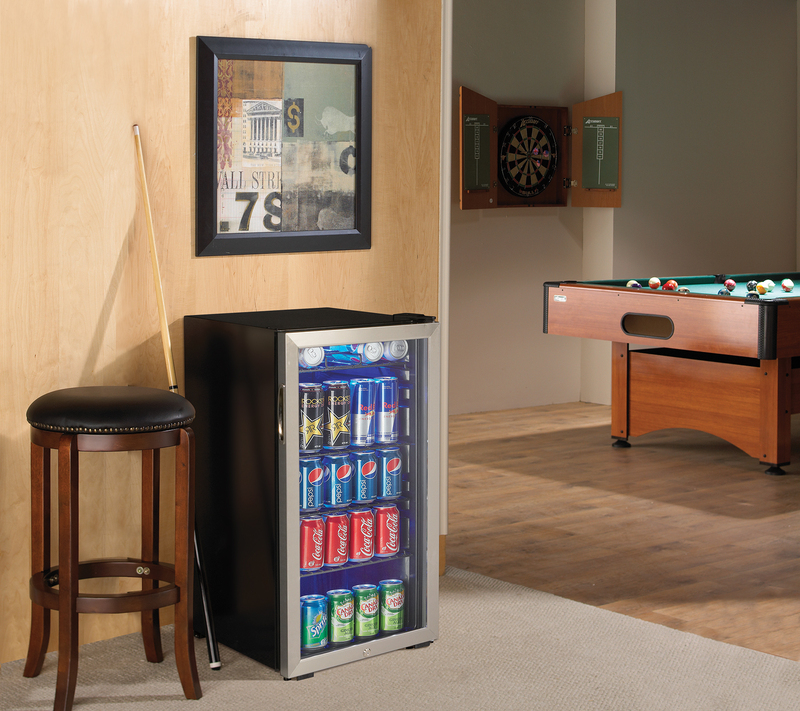 The student heading back to college could always use some extra fridge space to hold snacks and drinks. Less time spent running down to the cafeteria equals more time spent studying! A Retro Design: This fridge will definitely stand out against the typical dull-looking mini fridges that fill the rooms of college dormitories. CanStor® beverage dispensing system: Easily store and access 355mL (12oz) cans with this convenient beverage dispenser. Door lock: Keep your food and drinks secured with a key-operated door lock. 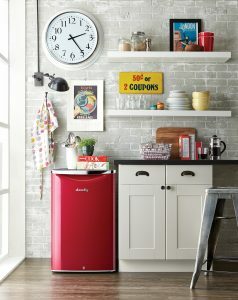 Compact: This little fridge’s compact, counter-top design allows it to fit into any college dorm room- no matter how small. 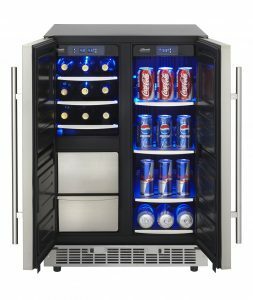 Storage: It also features a CanStor® beverage dispensing system and 1 and a half tempered glass shelves to accommodate tall bottle storage. 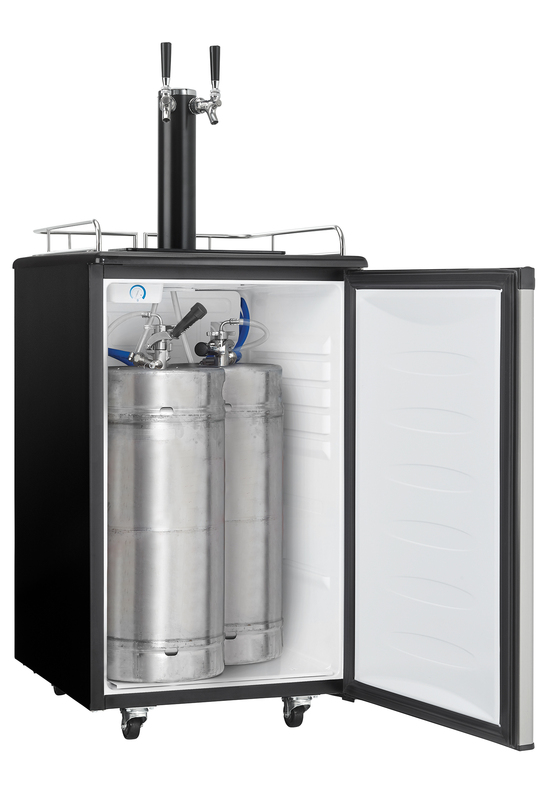 Environmentally Friendly: The unit is Energy Star certified and runs on environmentally friendly R600a refrigerant to keep your carbon footprint as small as possible. No matter the season, the sports fan is always getting together with friends and family, crowding into man caves, and watching their favourite teams compete on TV. If there’s one thing a sports fan hates, it’s missing the game to go grab more beer from the fridge. 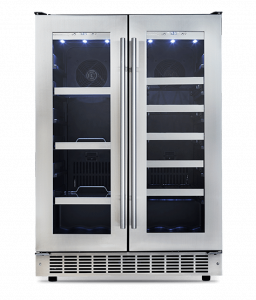 UV Protection: This beverage centre uses a tempered glass door with a stainless steel trim to block out UV rays and keep your drinks cool. Door Lock: It also features a door lock and key to keep your brews safe and secure. Reversible Handle: The reversible door hinge allows you switch between left or right-handed opening to fit into any space. Do you know someone who’s giving their kitchen a face-lift? 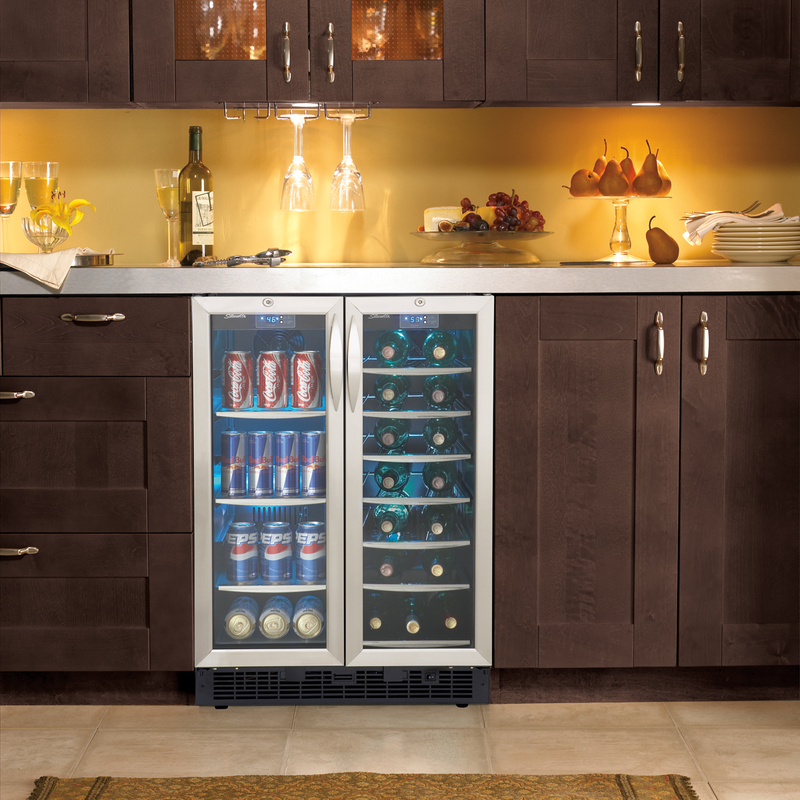 Take their wine storage to the next level with appliances they can build right into their new kitchen counters. 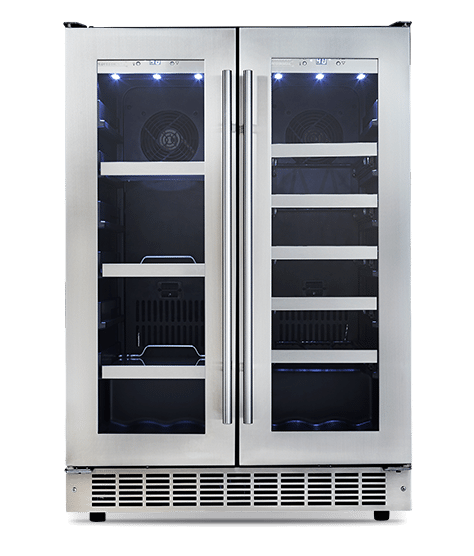 Dual Chambers: These two sealed temperature zones allow you to simultaneously store your red and white wines at different temperatures. Invisi-touch® Display: This display disappears until you tap the black glass exterior. The temperature-guided rings mean you never have to open the door to adjust your temperatures. NEK Bottle Cradle: These organic maple shelves prop the front row of bottles at the perfect pitch to allow the back row of bottles to seamlessly nest regardless of shape or size. 3 Storage Options: This unit can simultaneously store 60 355mL (12oz) cans, 12 750mL (26oz) bottles of wine, and ice cubes- making it an essential for any party-friendly kitchen. Smudge Fighting: It features our smudge-resistant stainless steel. That means you get to enjoy beauty and sophistication of true stainless steel without the usual upkeep and effort. Gardening in the snow is no fun. Luckily, the gardener in your life can enjoy fresh herbs and vegetables all year round with the Danby Fresh Home Herb Grower. 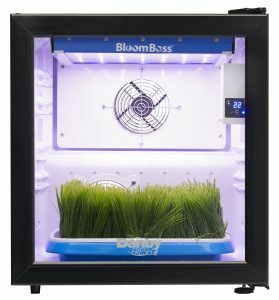 Grow Lights: This Herb Grower uses the most advanced and energy efficient full spectrum LED grow light which allows the plants to get the full spectrum of light they need to grow properly. 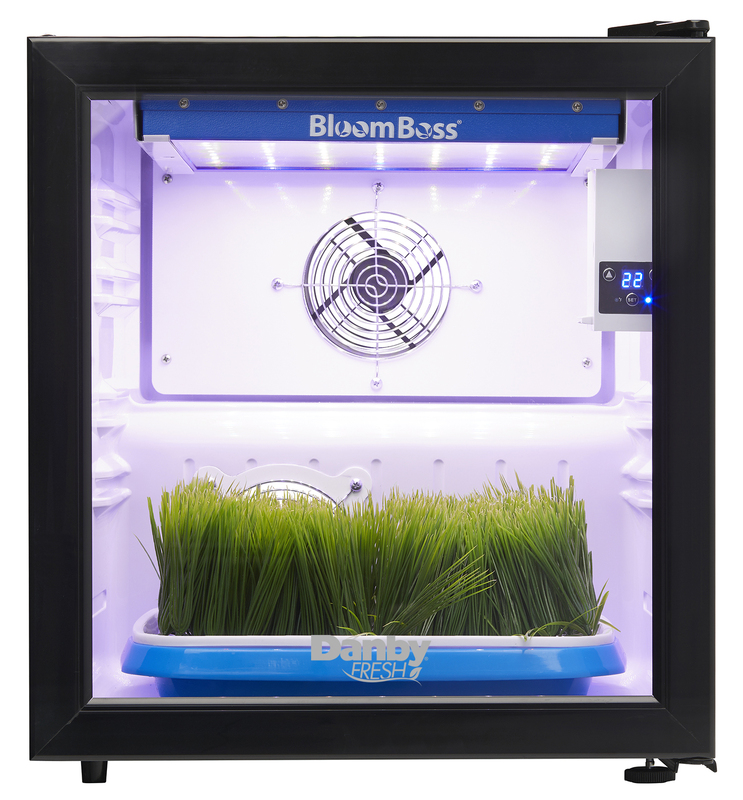 Air Circulation: The fan assisted air circulation system helps the plants to grow heartier and healthier as if they were in their natural environment. Light Timer: Use the set it and forget it timer to give your plants the perfect amount of simulated sunlight without constant tinkering. Know a couple that recently tied the knot? Give them an elegant way to serve drinks in their new home. 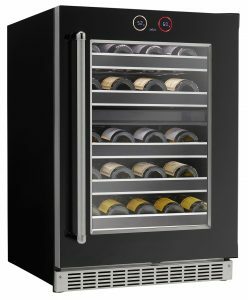 Dual Temperature Zones: This unit features two individually adjustable temperature zones to simultaneously store wine and cans. 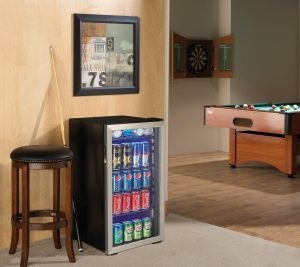 Built-in Compatible: This versatile beverage center can be built-in to fit underneath a counter or be used as a freestanding unit. Air Circulation: An interior fan circulates cool air to keep your beverages at a consistent temperature.